The Museum hosts a number of layouts of different scales O, HO & N our mecca is HO 1:87 however, the N scale layout was very very nice. 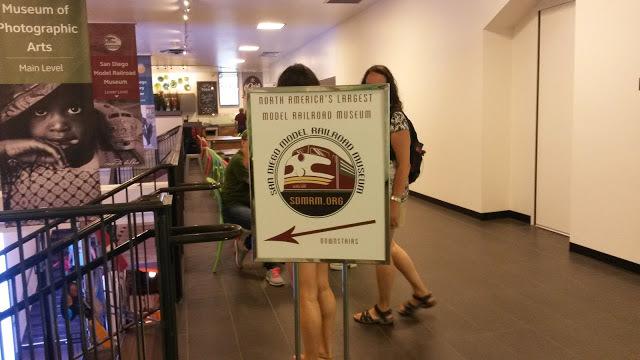 The museum is huge and has HO stuff on at least 4 levels that are all interconnected. 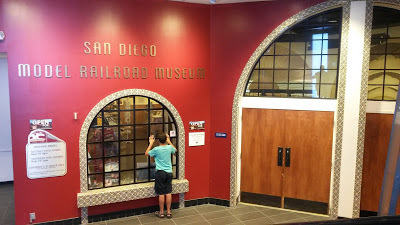 The La Mesa Model Railroad Club layout represents the joint Southern Pacific/Santa Fe railroad from Bakersfield to Mojave, California of the 1950’s. The current layout consists of the area from the Southern Pacific Bakersfield Yard through the famous Tehachapi Loop to Mojave Yard over 27,000 square feet. Rossco and I were just blown away with the realistic nature of the Massive layout. Below is just a few of the many photos taken & we have video too! After edit we think a number of train nights will be needed to go over what we did…. This is just a taste of what is there…. Well worth spending at least one full day there… We left at closing time….